A hilarious and sometimes poignant look at the absurdities of weight-loss culture from an appealing and original voice. 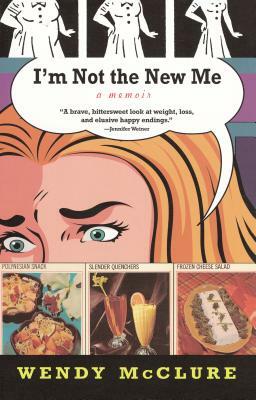 I'm Not The New Me is about coming to terms with a family heritage of fat and drastic surgeries, and about self-esteem issues that are nobody's business but your own. It's wondering what's left of yourself after you lose weight-and just who the hell you are if you gain it back. It's about the absurdities of online identities and fat girl clichés, and the sheer terror of appearing live and in person in your very own life. Wendy McClure holds an M.F.A. in poetry from the Iowa Writers' Workshop. She is the author of I’m Not the New Me and the creator of the online journal Pound, as well as the humor site Candyboots. She is a columnist for Bust, a regular contributor to the website Television Without Pity, and her writing has also appeared in Glamour, The Chicago Sun-Times, and The New York Times Magazine, among other publications. She lives in Chicago.